When I ask my three-year-old to name his favourite book, he answers “The Pencil”. Then he laughs. A lot. So does my eight-year-old. And his five-year-old sister. Then we grab it from the shelf, and pretty soon, the whole family is laughing. That’s the kind of book this is. I’m not talking small guffaws or little hee-hees that peter out into nothing almost before they begin. I’m talking full on stomach-grabbing belly-laughs, cackles and chortles so big that the kids have to run for a tissue to dab the tears from their eyes while begging you to stop reading til they get back. That’s the kind of book this is. It all starts with a pencil, a lonely little pencil. One day the pencil draws a boy, who asks the pencil to draw a dog, who asks for a cat and so on until there’s a whole family and extras to boot, including a paintbrush called Kitty who adds a fab dab of colour. But then the complaints start – someone’s ears are too big, someone’s hat is too silly and so forth. So the pencil draws a rubber. And that’s when the humour really explodes. I’m not going to spoil it for you, suffice to say that there are some shenanigans that have my eldest slapping his knee in hysterics every time, even after the forty-seventh read. (And even though he claims to have outgrown picture books). The smaller ones love it every bit as much. In fact, I can honestly say I have never, ever heard my kids laugh so much when reading a book. I love the prose, the way Allan Ahlberg weaves a story that is matter-of-fact yet achingly funny at the same time. Bruce Ingman’s drawings are perfect and worth a few large-scale chuckles of their own. 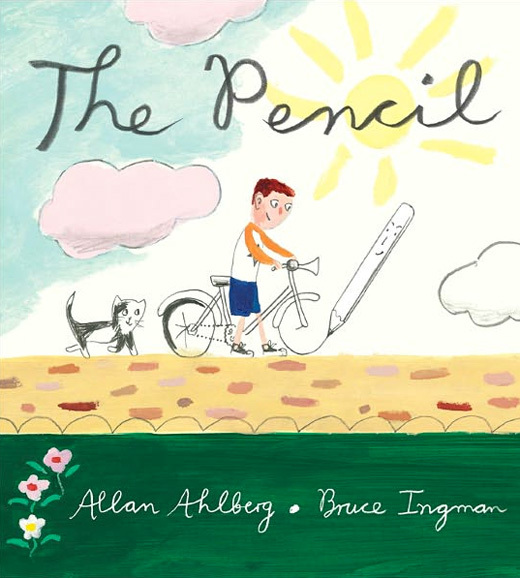 Find The Pencil at Book Depository, with free delivery to Australia. Then check out another Allan Ahlberg gem, The Runaway Dinner. 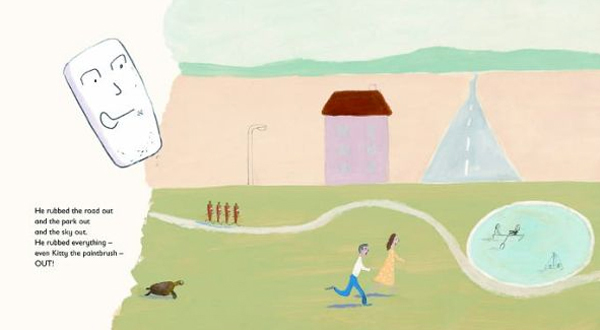 Something of a companion tale to The Pencil and equally funny, it’s officially our other favourite book.